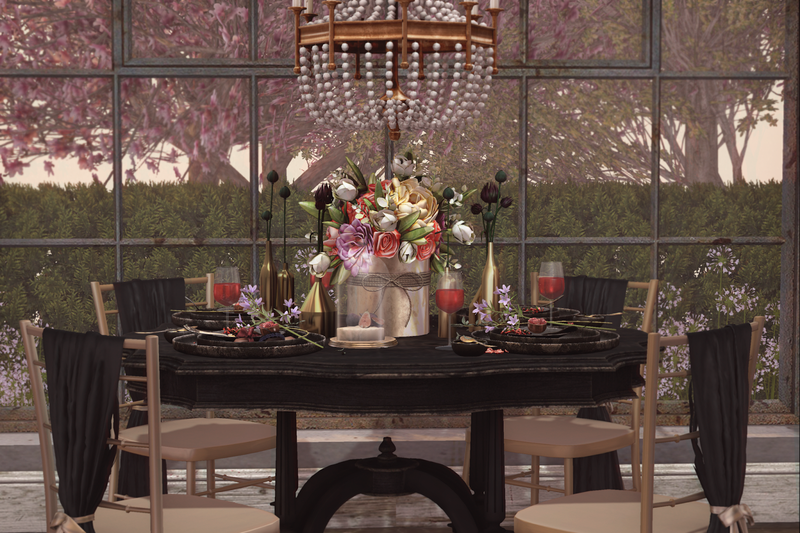 While many residents of Second Life™ stray away from the idea of a black wedding dress, I believe in the beauty of it in the right setting. It's the start of Fall 2017, a great time to start warming up our attire and our hearts. Black adds a sense of classiness and a chic touch to those that are wanting to stand out on their special day. I ditch the Halloween or scary approach most tie in with the black dress. I went with more color, lots and lots of colors to brighten up the setting but still maintained the idea of a fall wedding. The venue created for the bold and risky individuals will give a rich feeling to your guests and will surely stand out for years to come. Ditch the myth about the black wedding dress.